A little known fact about our elf? He loves to bake ginger cookies and share them with his friends. 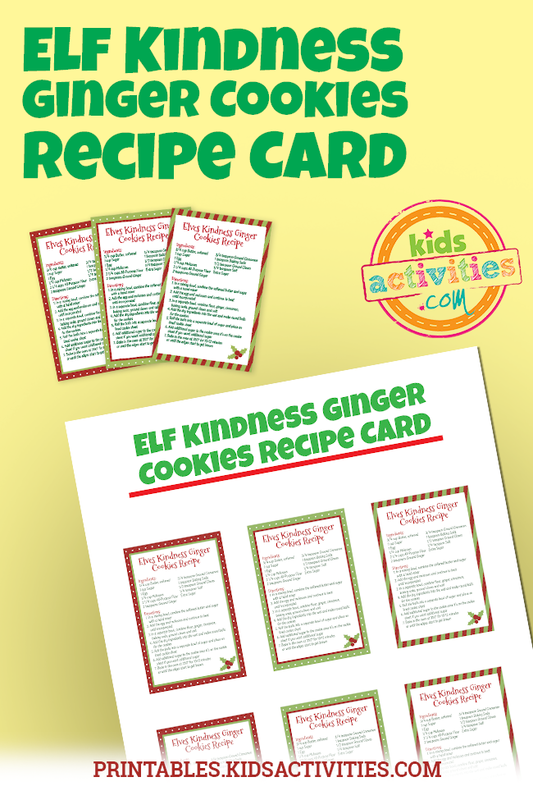 The elf calls his favorite cookies “Kindness Cookies” and he loves baking up a batch and sharing the recipe and the results with his Christmas-time friends. Since he loves to share the recipe, this set of six printable recipe cards is perfect for passing out. He’s also excited to share them with the kids, so be sure he has a couple left over to leave for them. 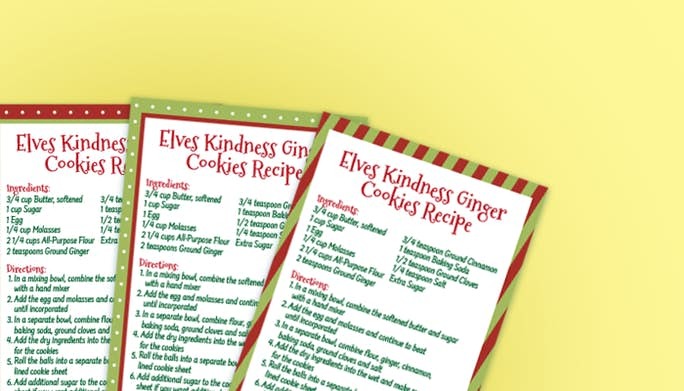 The recipe is an actual, scrumptious recipe, so if you want to bake up a batch while the elf does his thing, they’d be a delicious morning treat! You can print these out on cardstock or on regular paper – the elf will be happy to have them either way!